I had forgotten about so many things! "The Suitcase"! The beginning of Steggy - with the working naked in the hotel room! That moment in the elevator with Joan and Peggy after Peggy fired that douchey freelance art department guy. And very importantly, the introduction of Megan. The season is interesting because the first half is so drawn out and, in my opinion, boring. Then BOOM! "The Suitcase" happens and it's gets super interesting, with the Faye and Don relationship plus the intro to Megan. Something that I hadn't paid attention to in first viewing because it didn't seem important is that it's MEGAN who initiates everything in terms of her affair with Don. She asks him to show her the work, then SHE kisses him. And he initially says "This is a bad idea" but she keeps going, insisting that it won't affect their works relationship (as opposed to the Alison debacle). I'm not a Megan-hater, but re-watching this season, it becomes pretty apparent that she knew what she was doing. She seduced Don. She was lovely to his children (I don't think this was an act because she still treats his kids well) but I think she was calculating how to try to get him to shack up with her for her benefit. I've always rejected the notion that Megan is/was naive and fell into the whirlwind romance/engagement with Don. I think it's exactly what she wanted - marrying a rich, connected man for her gain. 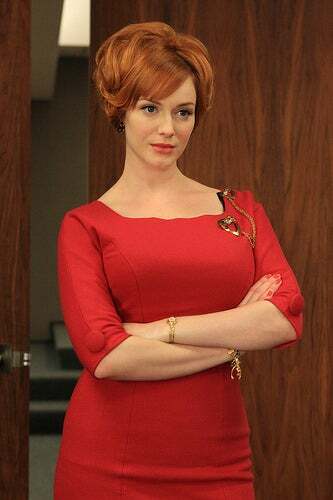 I don't think she doesn't love Don, but I think had another handsome, rich and connected man been her boss, she would have tried the same thing. Re-watching the series is fun and insightful (especially when you know what's coming up). I highly recommend it.